Reports from product shows, as well as photography exhibits. If you know of an upcoming exhibit or want to inform others about your own, please add it here. 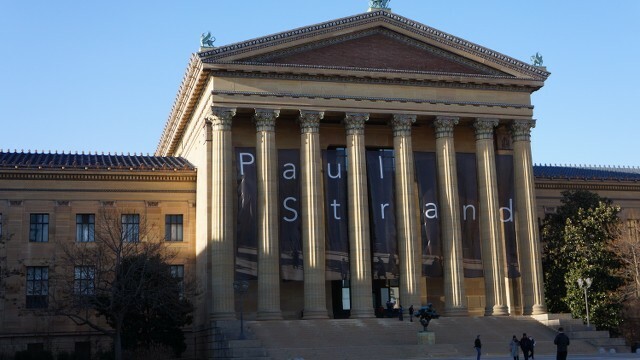 Running since October, I had a chance to see the Paul Strand exhibit at the Philadelphia Museum of Art over the holidays. 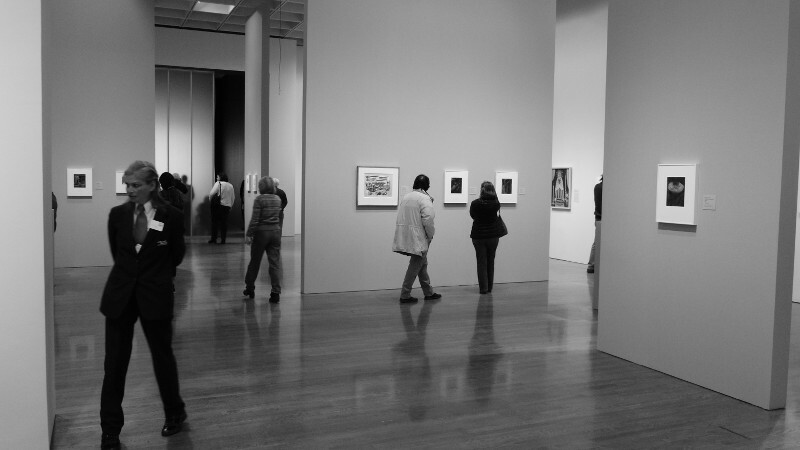 It was the closing days of the exhibit, which had a good turnout -- considering it was Jan. 1, 2015. 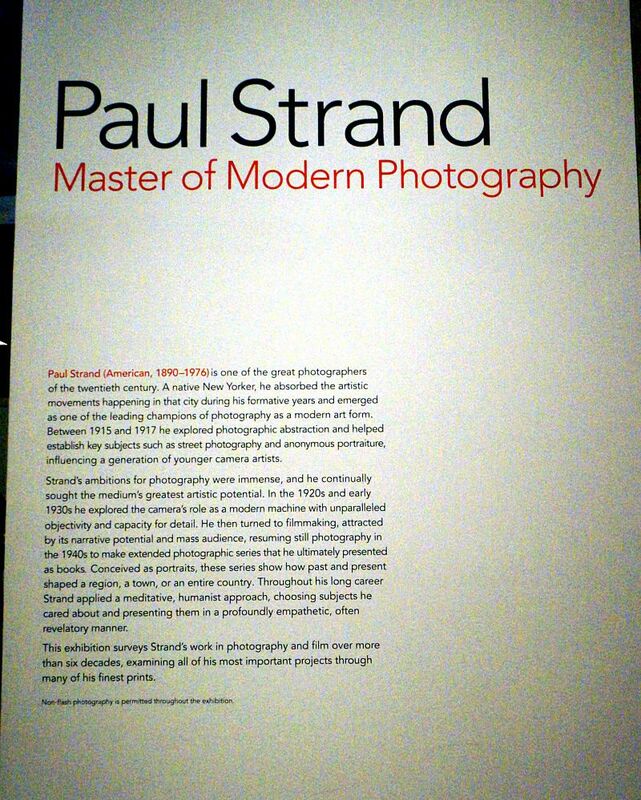 The entrance to the exhibit was grand and provided a brief biography of Paul Strand, a photographer who was very active in the early 1900s and who stayed busy up until his death at age 85 in 1976 in France. The exhibit offered audio accompaniment by using a handheld device. 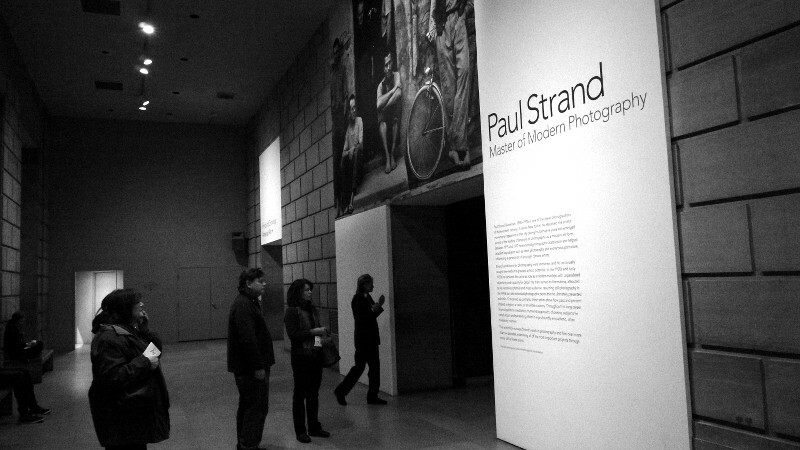 You typed in the three-digit code that appeared with some of the photos, and you could learn more about that series of photos or about Paul Strand. 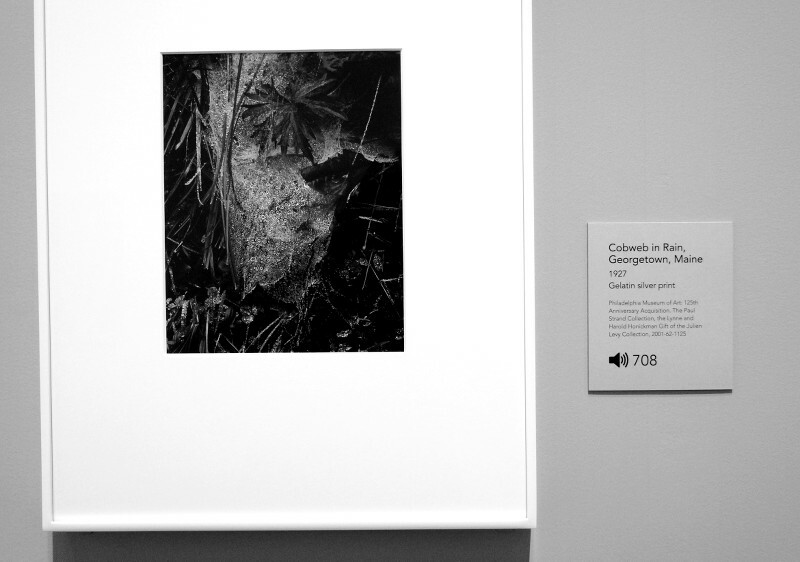 There were a couple hundred photos in the exhibit. 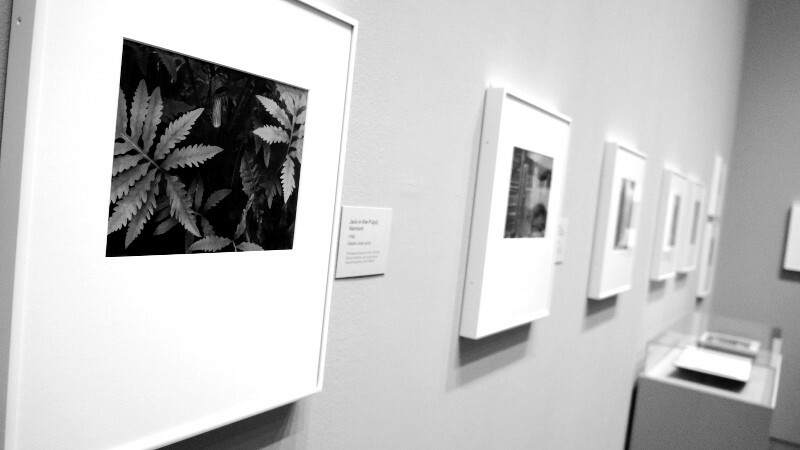 In his earliest work, Strand's work reflected the pictorialism approach to photography. That is, the photos never seemed very sharp, and there was a glow. The accompanying narration said that Strand often would enlarge a tiny portion of the overall negative to achieve this effect. 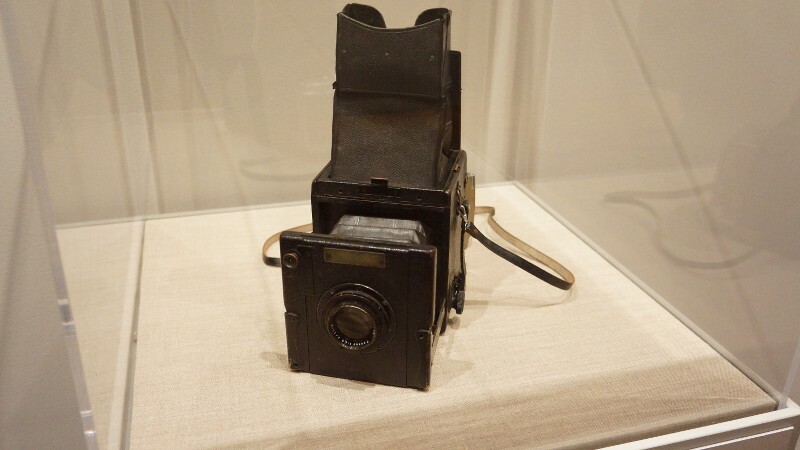 This was a popular technique at the time that was used by a number of photographers, including Ansel Adams. Strand, and others, eventually moved away from this, preferring to record the scene as realistically as possible. Being a New Yorker, Strand's circle included other photographers from that era, including Alfred Stiegletz and Edward Weston. While it was noted, the exhibit didn't delve too deeply into Strand's close ties to the communist movement and what would become a lifelong affiliation. Strand was perhaps best known as America's first "street" photographer. Many of his street portraits are taken from the shoulders up. Strand went to great lengths to disguise and to hide his camera, including the use of fake lenses and the use of a prism that tricked his subjects into thinking he was pointing the camera in one direction when he in fact was pointing the camera at them. 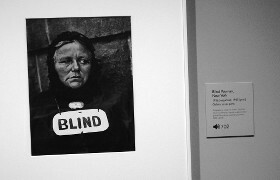 One of his more famous photos is titled, "Blind Woman." This brings back some childhood memories. I think that I recall seeing a blind person with a similar sign hanging around their neck. Strand spent a great deal of time in New Mexico and later in Mexico, photographing the people and buildings. Strand abandoned photography for a time to pursue a career as a filmmaker. He produced several movies - none of which I can name at the moment. One was playing in one of the exhibit's rooms. In one scene, a white man with a rifle stalks and fatally shoots an injured black man, as well as the black man's companion. Strand eventually returned to photography and as mentioned before, he remained active and continued to shoot until his death in 1976. 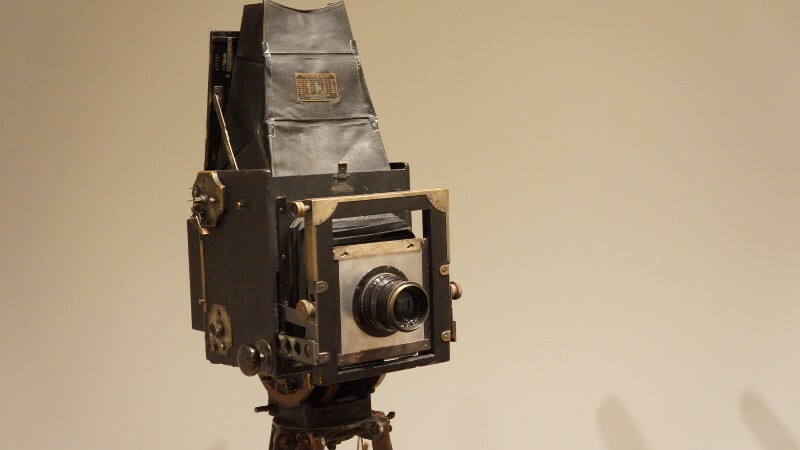 At the end of the exhibit were two still cameras and the movie camera that Strand used. "Cobwebs in Rain" - the accompanying narration said that Strand set his lens at f/64, and that the exposure took several hours. During that time, Strand would close the shutter whenever he detected a breeze that might cause movement in the photo.